3P Third Party Testing has been in business since 1995 and is a leading test laboratory. We test products from the international cabling and electronics industry and strive to verify high quality products that can serve the ever growing needs for reliable highspeed datacommunication. Our main activities are test and certification of cabling and cabling components. Our research and development of test methods and our involvement in all relevant standardisation are the basis, upon which we can assure that certified products will live up to future requirements. The staff of 3P is a dynamic team including electronic-, chemical- and material-engineers. 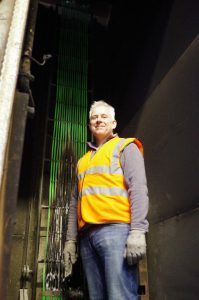 We have expertise and decades of experience in working with cabling and cabling component testing, CPR fire and safety testing, QA auditing and standardisation.